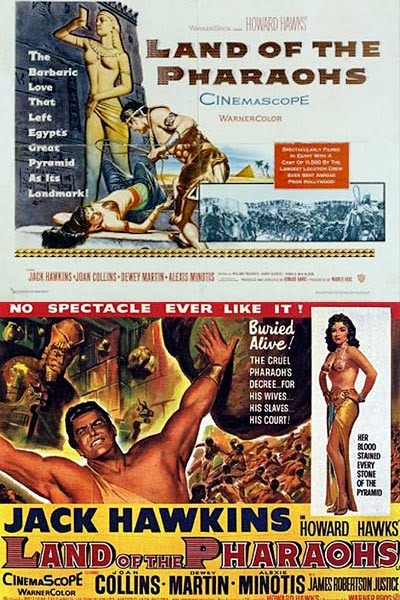 On top is the original (boring) artwork for LAND OF THE PHARAOHS. Jack Hawkins is suddenly turned into a superhero for the British release. 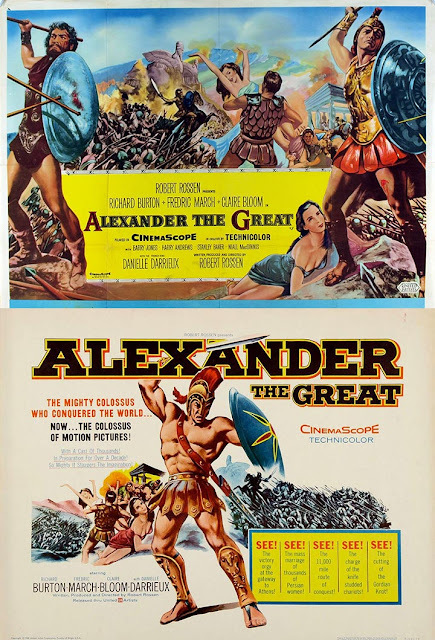 The original poster art for ALEXANDER THE GREAT is on top and below is the re-issue, from the early 1960s, right after the success of the HERCULES films. 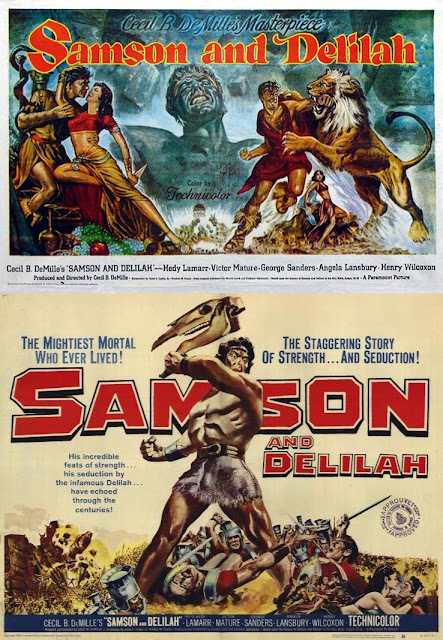 I don't remember Richard Burton being so buff. On top is the art for the original release of SAMSON & DELILAH and below is the art from the re-issue in 1959.